The Wide Interest Reading English Development (WIRED) program at St Patrick's College in Ballarat involves all Years 7-9 students. The program aims to develop a reading culture among adolescent boys to improve their Literacy comprehension strategies and engagement with texts. One English lesson a cycle is conducted by a Teacher Librarian and an English teacher with the time spent discussing new books, favourite authors and genres. The majority of the lesson is dedicated to free voluntary reading. 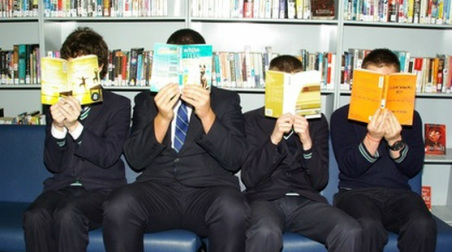 Students can borrow up to six books for two weeks and often spend time during Pastoral Care silently reading.